As I’ve stated in other reviews for the Universal Monster films by this point despite being Universal films they were B-Movies and House of Frankenstein released in 1944 is no different. By this time in the series we were far removed from the first 3 Frankenstein films and the original Dracula and Wolf Man. 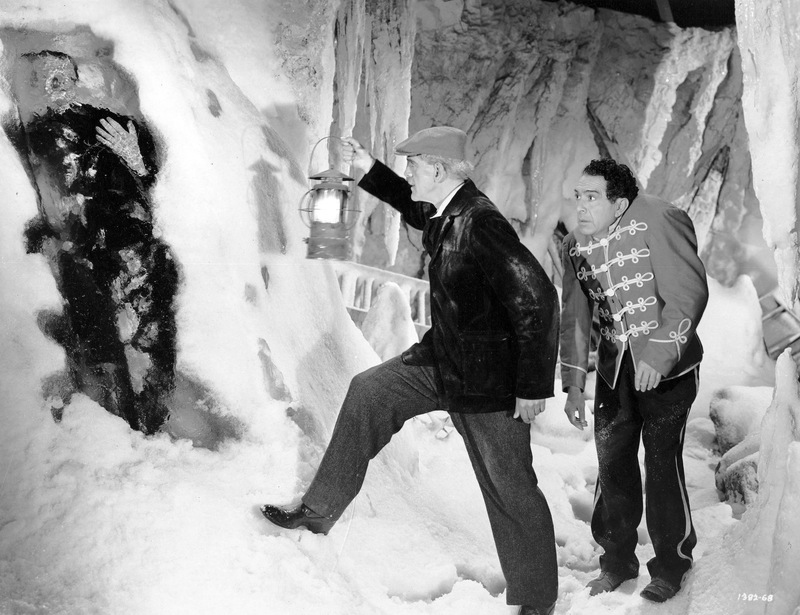 House of Frankenstein came 5-years after Son of Frankenstein and and 3-years after the Wolf Man, but it might as well been a 100-years since quality was so drastically different. 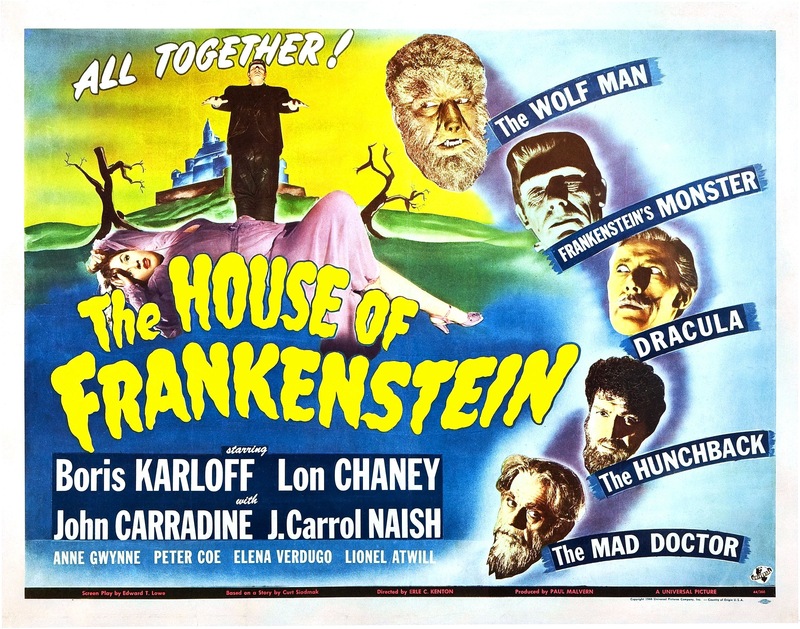 House of Frankenstein is the 2nd of 4 crossover films with the first being Frankenstein Meets the Wolf Man and the last 2 being House of Dracula and Abbott and Costello Meet Frankenstein. I suppose it was only a matter of time before Universal took advantage of having these characters and put them in a film together. This time around Dracula (Carradine) is added to the mix and we have the B-Movie staple of Monsters, mad scientists and a hunchback. 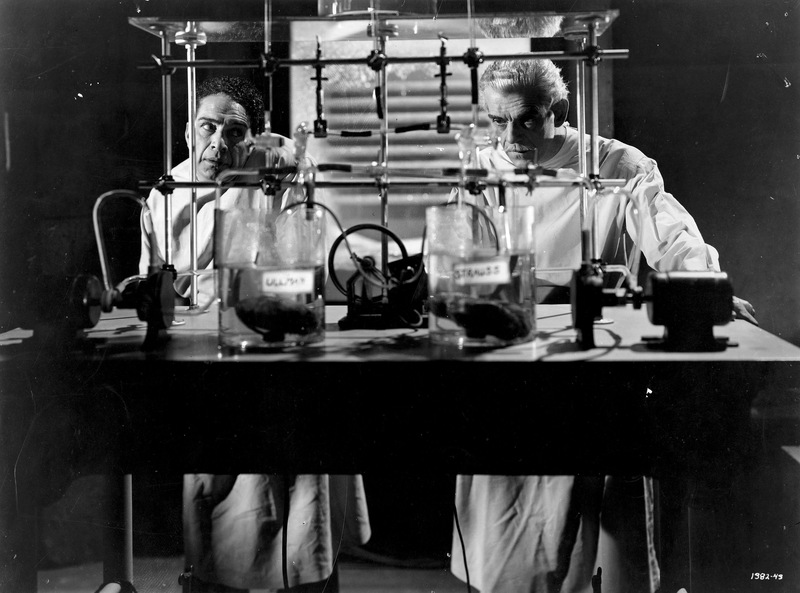 If anything House of Frankenstein sort of feels like an anthology; first Dr. Niemann (Karloff) and his story is set up. Than Dracula comes into the story, than after that enter Larry Talbot (Chaney) and finally the Frankenstein Monster (Strange). Perhaps it was the times or just the writing, but it always seemed as if there were problems linking all these Monsters together. Frankenstein Meets the Wolf Man more or less seemed to be the most successful in doing so, but even that film got a little sluggish when the Monster entered as the movie worked best in the first half when it was a Wolf Man sequel. 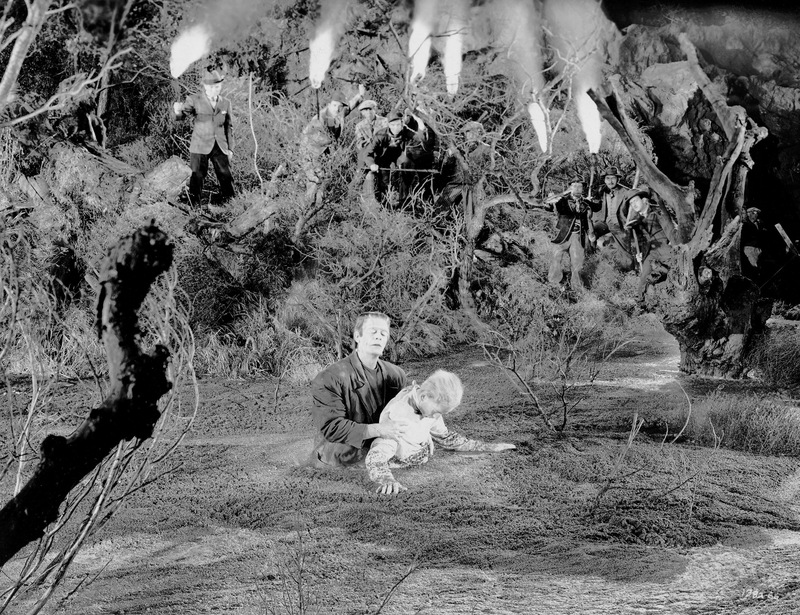 Here in House of Frankenstein Dracula seems to be just a throw in since his story is unconnected to the rest of the film, well sort of. After escaping from prison Dr. Niemann looks to get revenge on the people who sent him to prison and with the help of his hunchback assistant Daniel (Naish) he uses the Monsters to carry out that revenge. The screenplay was written by Edward T. Lowe based off a story by Curt Siodmak who wrote the original Wolf Man and Frankenstein Meets the Wolf Man. The story while interesting might have been better suited as its own film and not a Monster movie as the Monsters are just simply there because Universal has the rights to them all. As I stated the script very much feels like an anthology since Dracula never shares any screen time with the Wolf Man or Frankenstein Monster and it seems he was just put in for the sake of it. The script by Lowe is fairly decent, but adds nothing new to the legacy of either of the 3 franchises. Larry Talbot for the most part just rehashes dialogue from the previous film and its quite clear there wasn’t anything left for the character to do. The biggest letdown is the Monster doesn’t come alive until the final 10-minutes and when he does come alive he’s strapped down and it isn’t until the final 4-minutes he breaks out of the straps. Overall the script isn’t bad, but its brought down by not really being able to work the Monsters in together and it feels like 4 different scripts were written than edited together. I think the film would have played a lot better had it just been about Niemann wanting revenge and not mixing in the Monsters. In Ghost of Frankenstein the Monster had his brain switched with someone else thus creating a new Frankenstein Monster, but in Frankenstein Meets the Wolf Man that’s ignored and ruined Lugosi’s performance as the Monster (which wasn’t very good to begin with) and that’s continued here in House of Frankenstein as the Monster is back to being the original creation and the fact he actually isn’t is ignored. 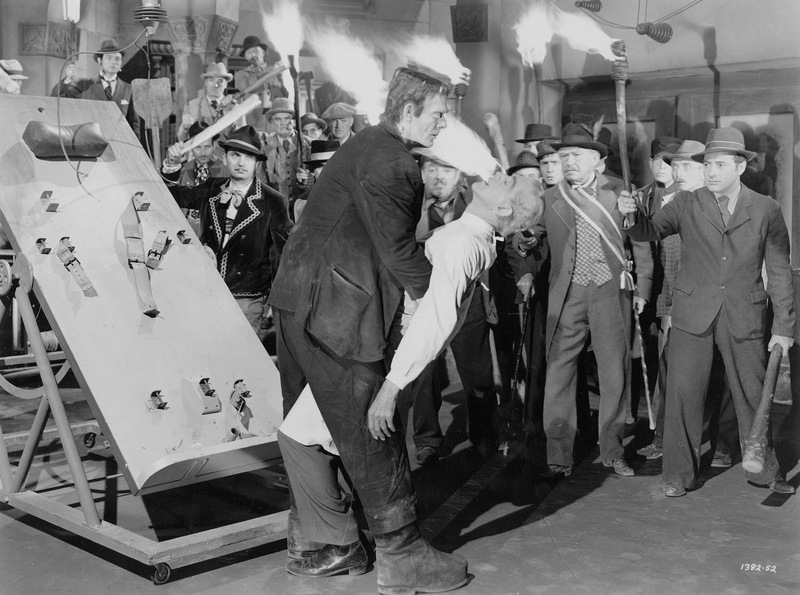 House of Frankenstein was directed by Erle C. Kenton who previously helmed Ghost of Frankenstein and the year after this film he would direct House of Dracula. 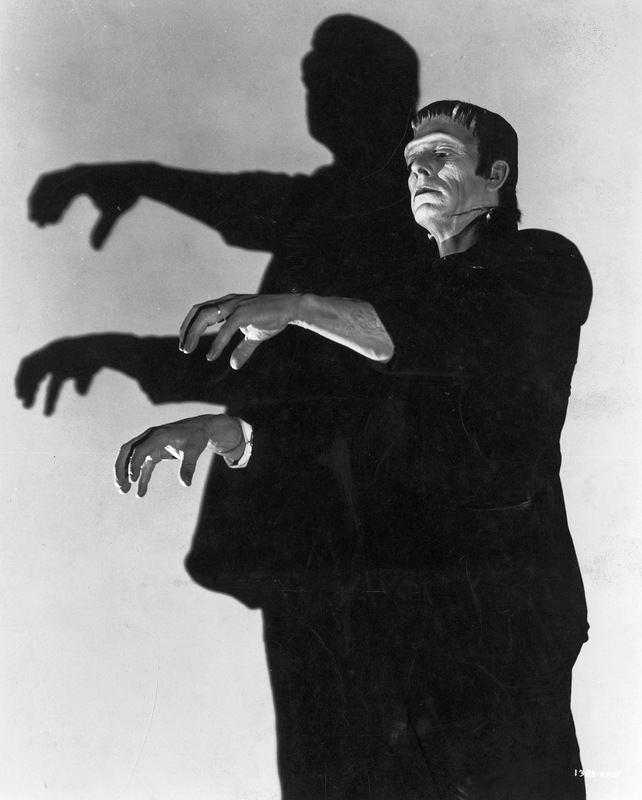 Seeing as Kenton directed Ghost of Frankenstein it is a bit annoying that the fact the Monster isn’t the original creation anymore is still ignored, but I suppose not writing the film there isn’t much he can do. The pace of the film can at times be a bit sluggish, but that’s more with the script than the directing. Gone is the eerie atmosphere the Monster movies were based on in their early days. Of all the Monster films I think Dracula and the Wolf Man hold up the best in filmmaking techniques for the most part and too bad Kenton doesn’t use any of those. Suspense is light and there really isn’t an eerie atmosphere either. To his credit though Kenton does deliver a fun film and while this isn’t exactly high quality filmmaking, Kenton is a competent director and makes a fun film with the flaws being more to do with the script than anything else. 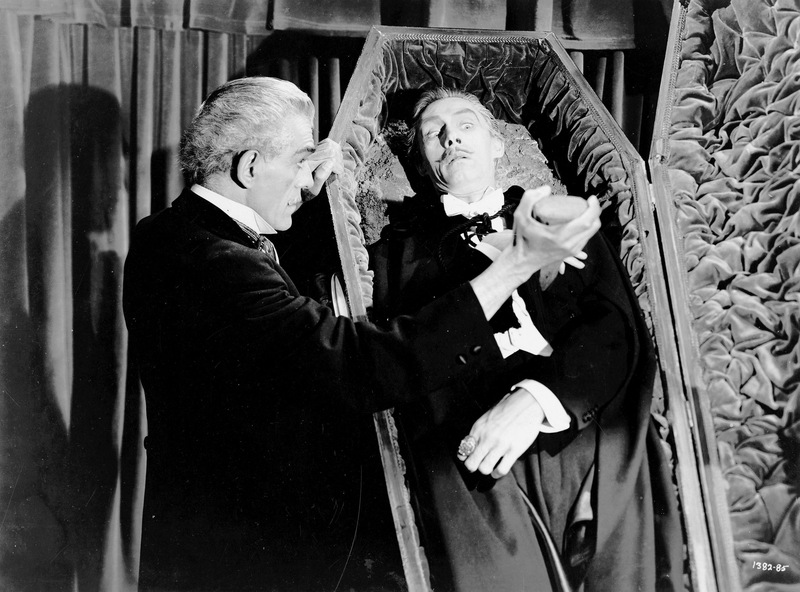 John Carradine is sort of the forgotten Dracula and this marked his debut as Count Dracula and he would reprise the role the following year in House of Dracula. Carradine doesn’t have the charisma of Lugosi nor is he as eerie, but with that said I do like Carradine’s take on the role and while sure he’s nothing like Lugosi despite playing the same character I find him entertaining, but he really isn’t given much to do. Glenn Strange plays the Monster for the first time here and he’d play the tole twice more (House of Dracula & Abbott & Costello Meet Frankenstein). It’s really difficult to rate his performance seeing as he only has a few minutes of screw time and most of that he’s strapped down. It’s impossible not to compare anybody that plays the Monster to Karloff and nobody has or ever will match or top Karloff in the role, but Strange wasn’t bad. It’s just unfortunate he isn’t given a whole lot to do. 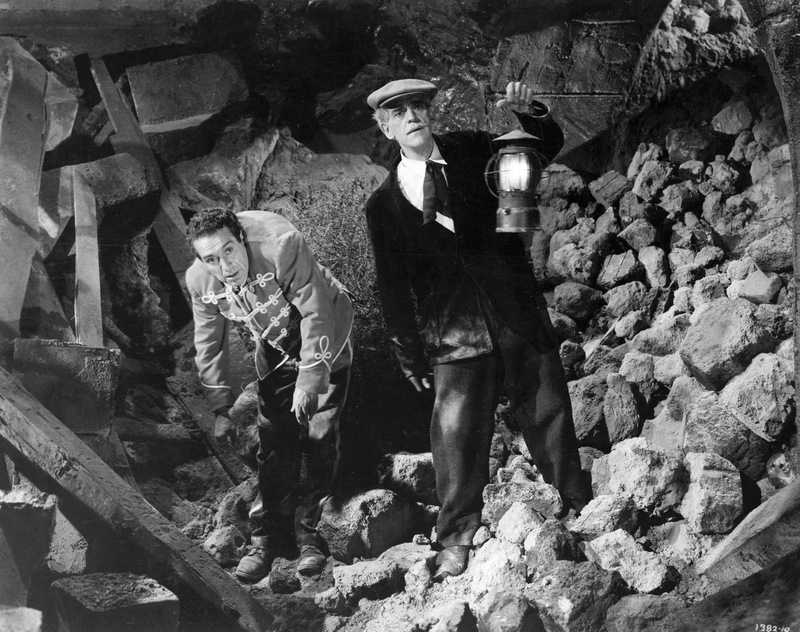 Lon Chaney again is excellent as the cursed Larry Talbot, but he just rehashes past dialogue and while Chaney by this point does seem to be going through the motions he’s still a joy to watch. 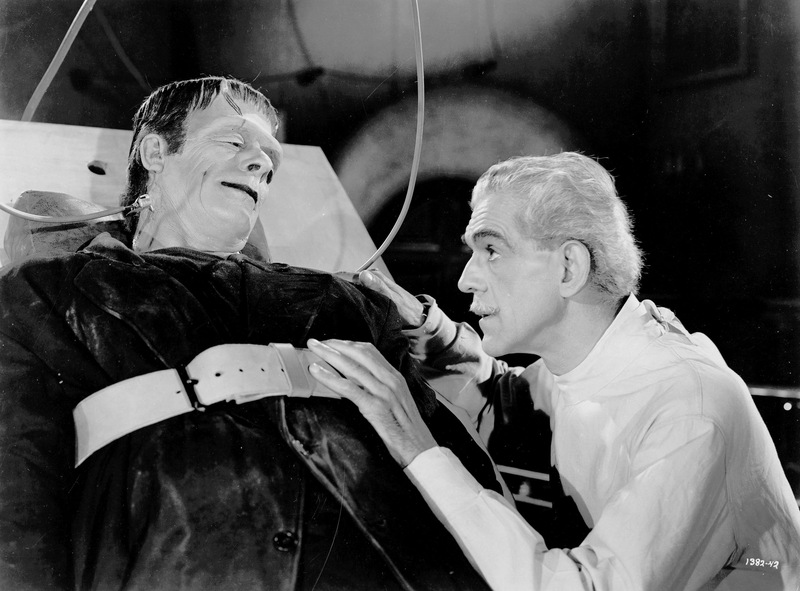 House of Frankenstein was Karloff’s return to the series as he last appeared in the franchise in Son of Frankenstein his last outing as the Frankenstein Monster. Karloff is one of my all time favorite actors and my favorite horror actor and Karloff is excellent here, but only hindered by his screenwriter. 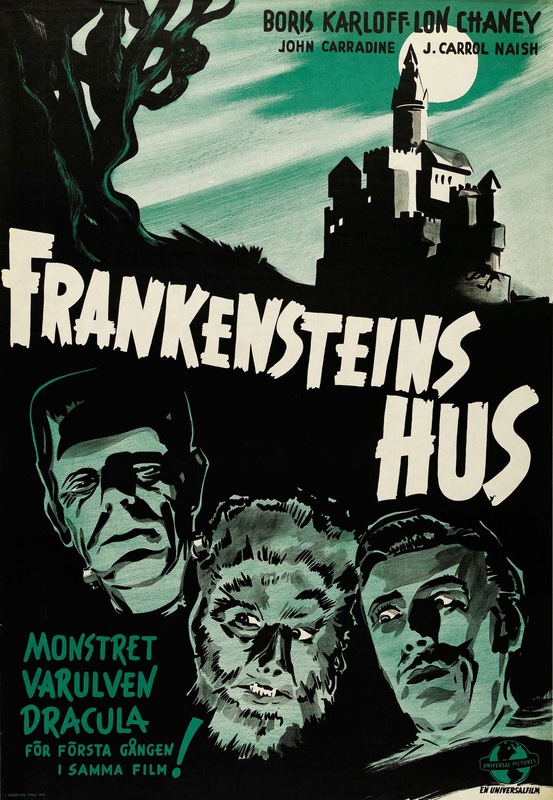 My review for House of Frankenstein may not be overly glowing, but despite the many flaws it is an entertaining film only brought down by the fact the film seemed to be unable to mix these iconic Monsters together and again I think the film would have turned out better without them. 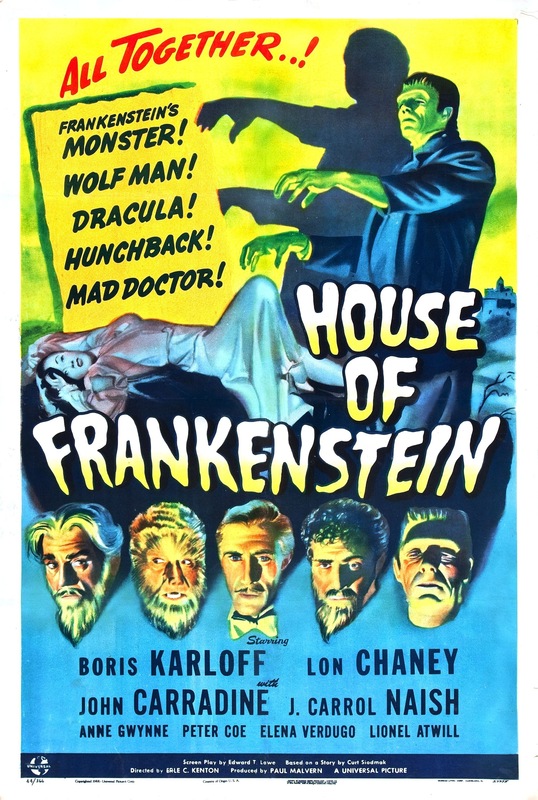 However House of Frankenstein is a fun film to watch and flaws and all should please fans of the series.